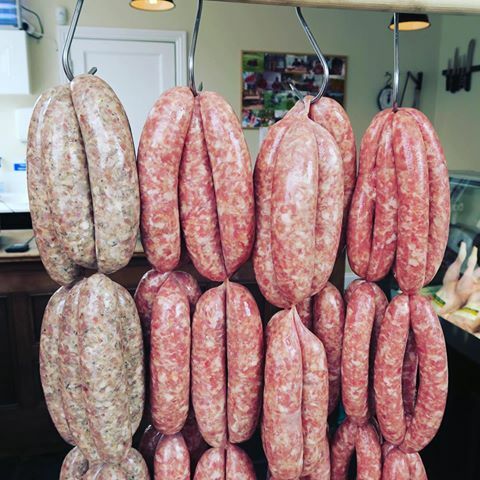 I’m always on the look out for awesome sausage makers and keen to try new innovations and products so I jumped at the chance to try some sausages from Heckstall & Smith. Heckstall & Smith are a proper local butchers’ shop in the heart of Ladywell Village. They believe that good food makes for a better life and I couldn’t agree more! I was particularly intrigued to try their bierwurst which are a heady mix of pork, beef, bacon and beer with a few additional secret ingredients. Size matters with these too and they didn’t disappoint. These are pictured here on a dinner plate! Just take a few seconds to appreciate the gloriousness of these fine creations. We already had some sausages on the go but I couldn’t resist trying these asap so I stuck them in a tin and put them in the oven to slowly reach sausage perfection. Wow. There are few words to describe the gloriousness of this experience. 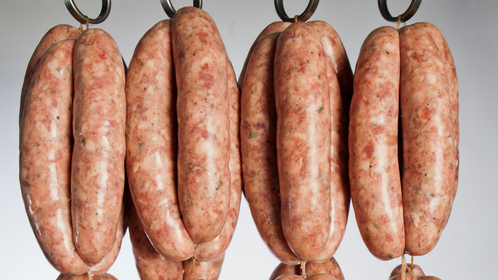 Big sausages bursting with flavours. Balanced and so moorish. 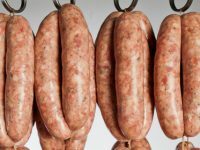 This is sausage making at it’s best. So what about the rest of the selection? Would it now be downhill? I tried a selection and the sausage perfection continued. 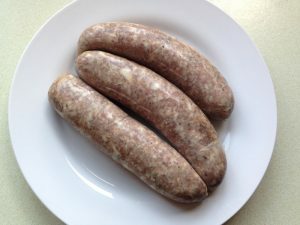 The gluten free chipolatas were balanced and moorish with nothing missing for the removal of gluten. Really well balanced and well made. The spicy lamb merguez was also a taste revelation. Like the other sausages very well balanced with a good hit of spice but not overwhelmingly so. I also have some classic ladywell bangers left to try but I can’t bring myself to eat them because I don’t want it to be over. I don’t want to have no Heckstall & Smith sausages in my house. It would feel empty without them. I know, at some point soon I won’t be able to hold out any longer and I can see they are going to be awesome too. This is definitely somewhere to visit and I look forward to reporting back when I’ve had the chance to get over and see the magic happen!